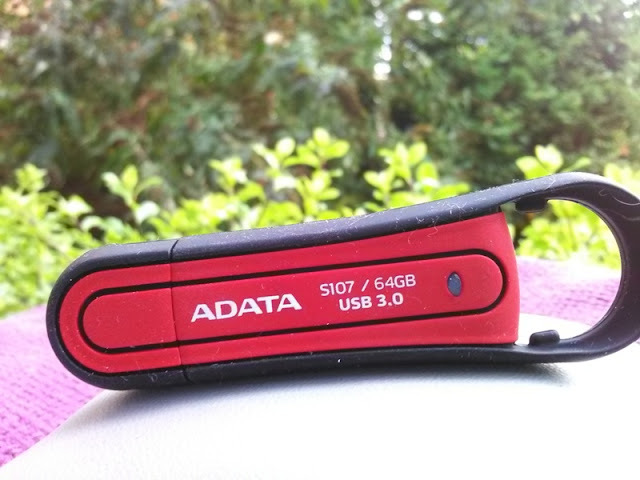 Adata S107 64 GB Ultra Rugged USB 3.0 Flash Drive! 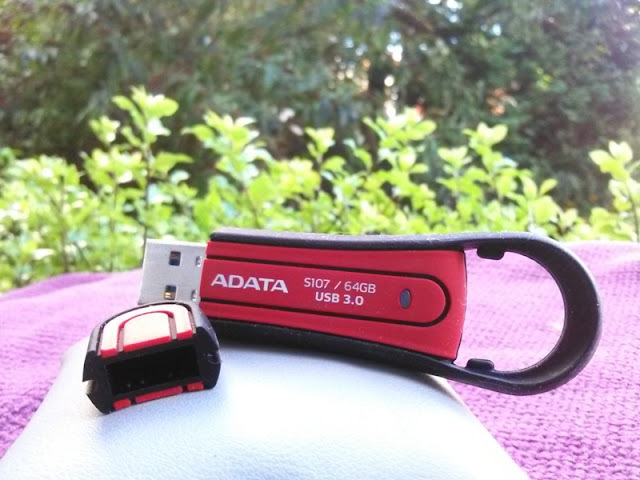 The Adata S107 is a capless USB 3.0 rugged flash drive with rubberized finish, including the cap that covers the USB port and the keyring for hooking the flash drive to your house keys. 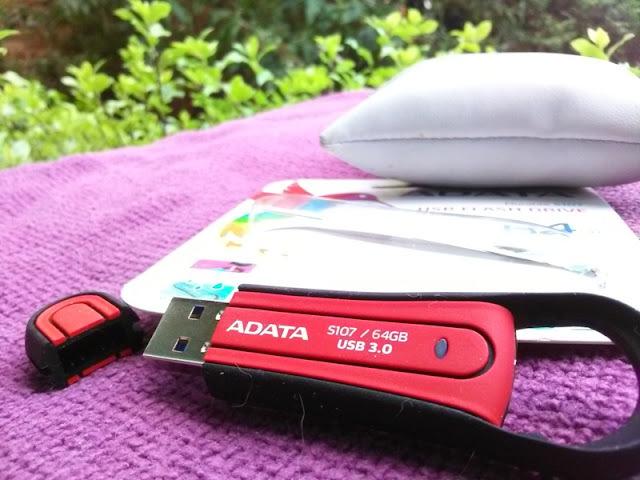 The +ADATAGroup S107 flash drive your see pictured is the 64 GB option though you can also get it in 8 GB, 16 GB and 32 GB. 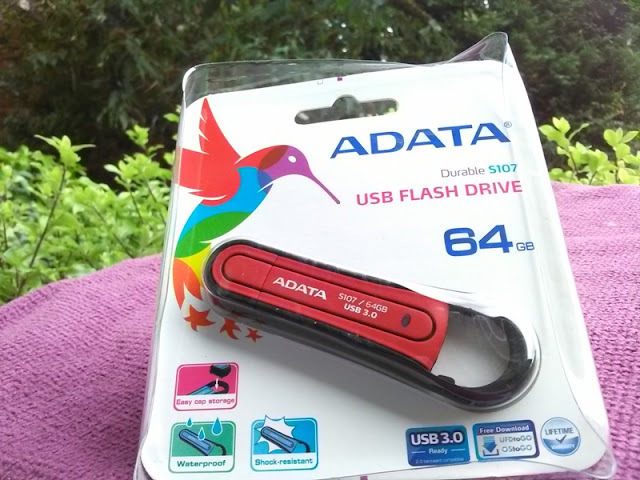 The Adata S107 flash drive is pretty robust and features a subtle LED light for monitoring the power and read-write operation of the flash drive. 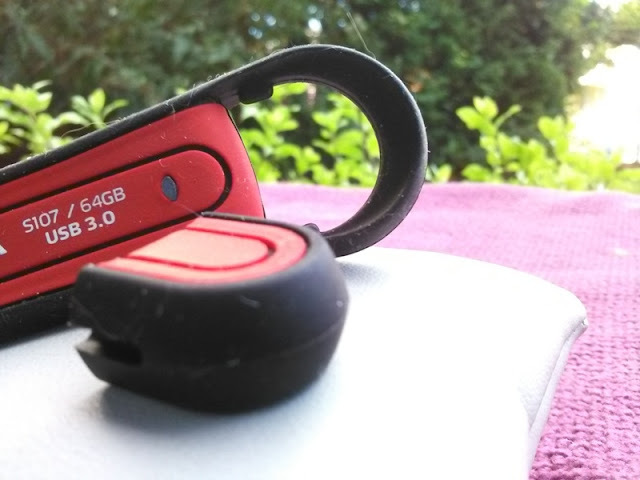 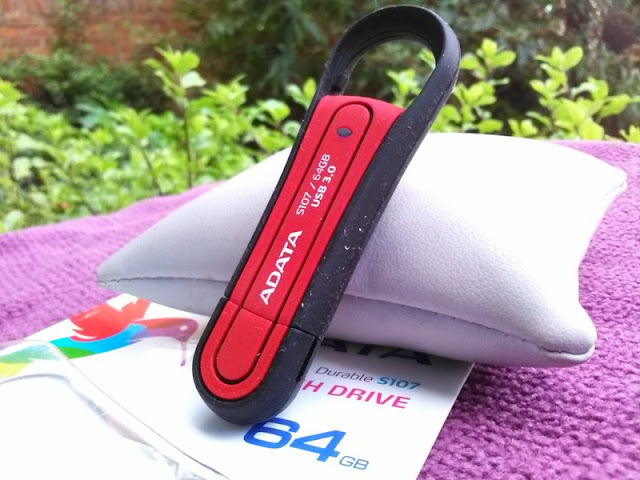 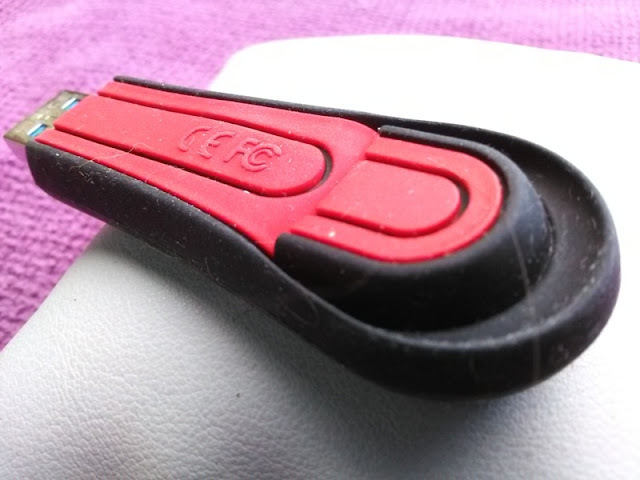 As mentioned earlier, the Adata S107 64 GB flash drive has a rubber cap and rubber key ring to hook up the flash drive to your car or house keys as well as for storing the cap when using the flash drive. 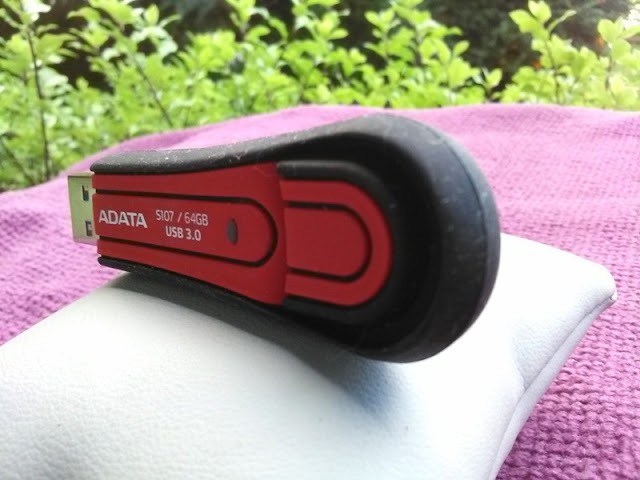 The rubberized finish of the Adata S107 flash drive makes this USB 3.0 flash drive shock proof to US military specifications and water resistant at 1 meter depths for 20 minutes.